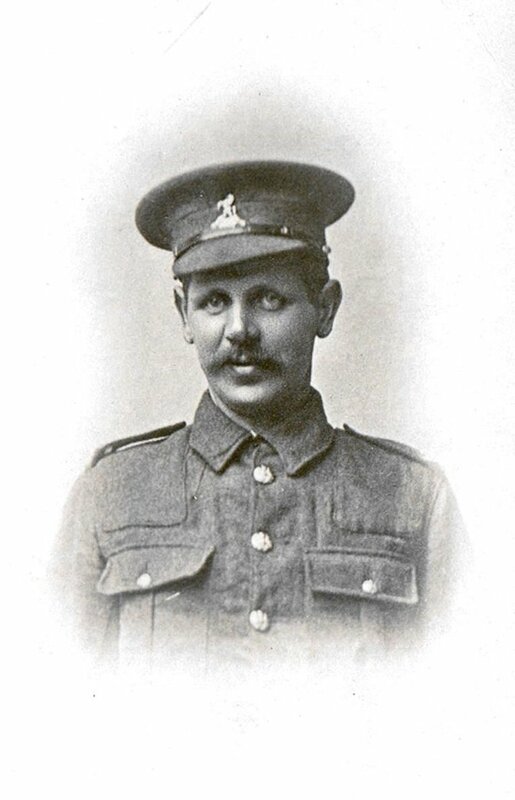 He joined first the Norfolk Regiment, before moving to the Northamptonshire Regiment. 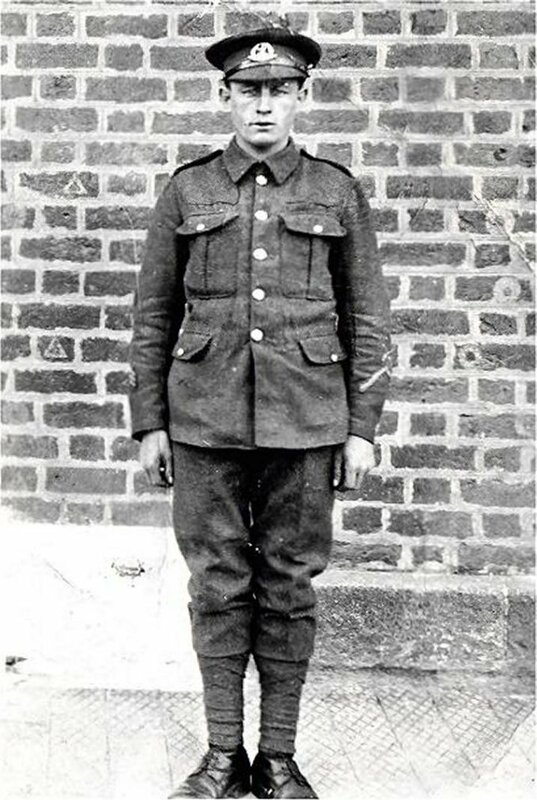 He fought in France and came home safely at the end of the war. 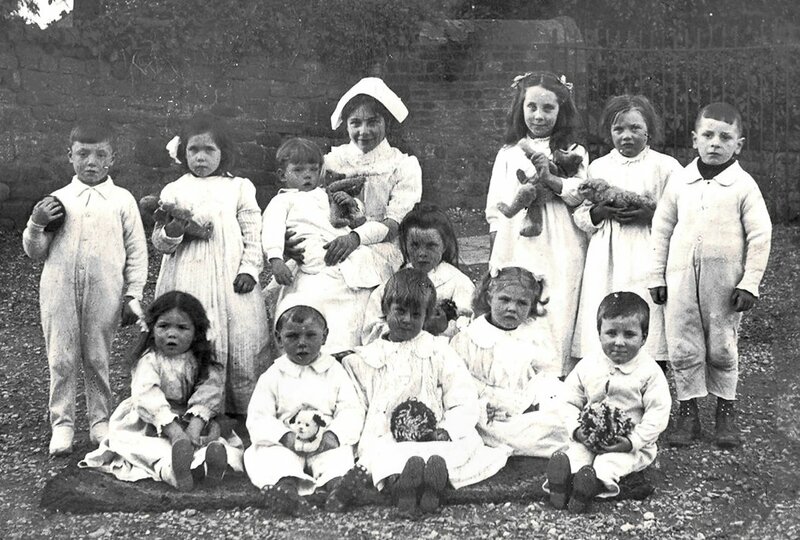 Spratton children - the only one identified so far is Gert Cattell in the middle of the front row. 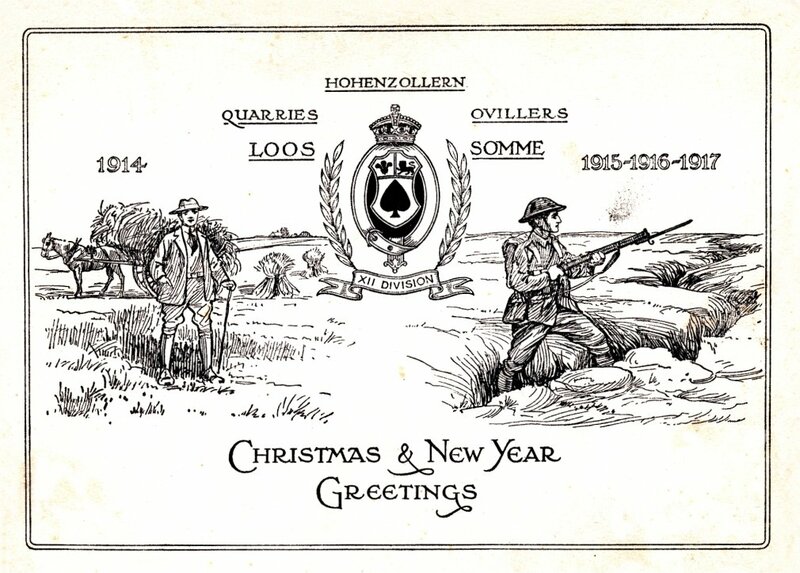 Christmas Card sent from the trenches by Tom Billing, father of Mrs Cass Green for Christmas 1916 and New Year 1917. 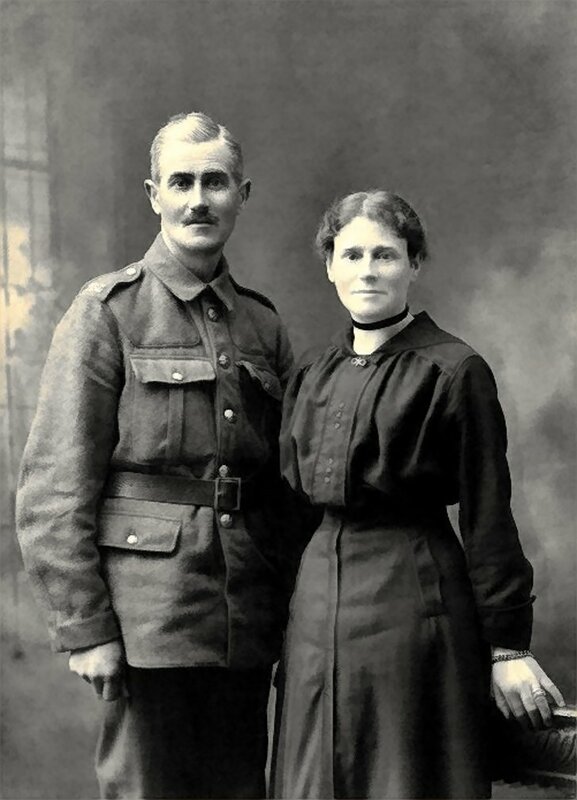 Private Billing served in the Queens Royal West Surrey Regiment. 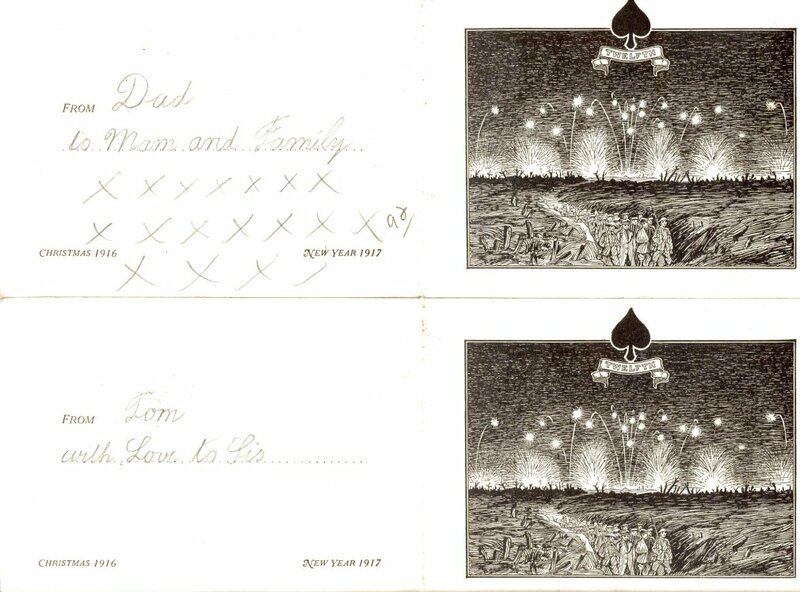 Insides of Christmas Cards sent from the trenches by Tom Billing, father of Mrs Cass Green, to his wife and children, and also his sister. This is later than 1905 as the Red House (on the left) was built by Mr. Cheney then. 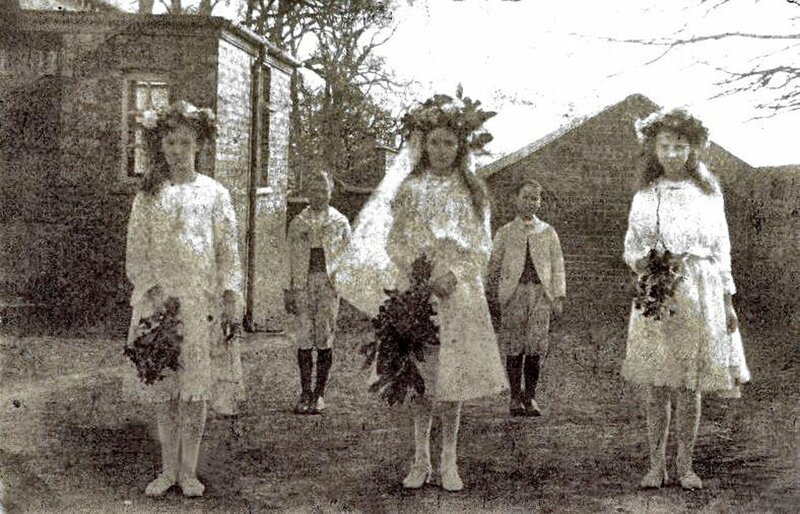 The fashions in the photograph show that it is probably early 1910s but before the war (Enid Jarvis). 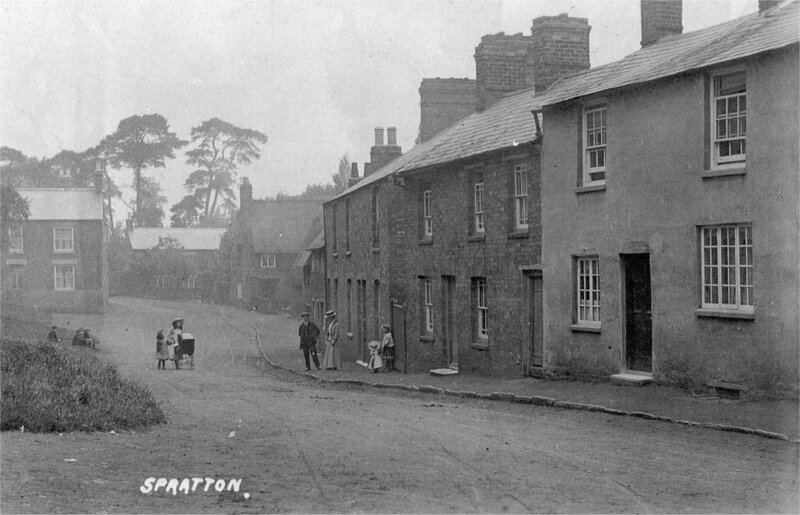 Per Paul Butcher at West Haddon, "the pram is (or appears to be) pre 1920's. In the 20's the bodies became squarer and the wheels the same or similar size. It also has a rounded bottom so from what I can see I would place it as 1910 to 1920". Straw boaters were fashionable until the 1920s. Thus the row of three brick cottages was built before the 1911 census. The house in the background to the right of this is the schoolmaster's house. In front of it is a beer house, known to have been such from 1891 or earlier when George Thompson Tassell (?) was the beer-seller. In 1910 it was owned by Phipps with William J Roberts running it. Later it was Dunkley's beer house, off-licence and shop. The photograph shows the shop when it was in what is today Drovers Cottage, before it extended with a new build to the existing shop, including Drovers Cottage (see 0097).